Ian Rowe is an award-winning classical guitarist and teacher currently located in the San Francisco Bay Area. As a performer, Ian has been lauded by critics and audiences alike, and his solo concerts and appearances with orchestras have taken him to three continents and over a dozen countries. In addition to being an active performer, Ian is also a dedicated and experienced teacher. While pursuing his graduate degree at the San Francisco Conservatory of Music, Ian completed courses in the Orff and Kodaly methods, and prepared students for the Associated Board of Royal Schools of Music (ABRSM). 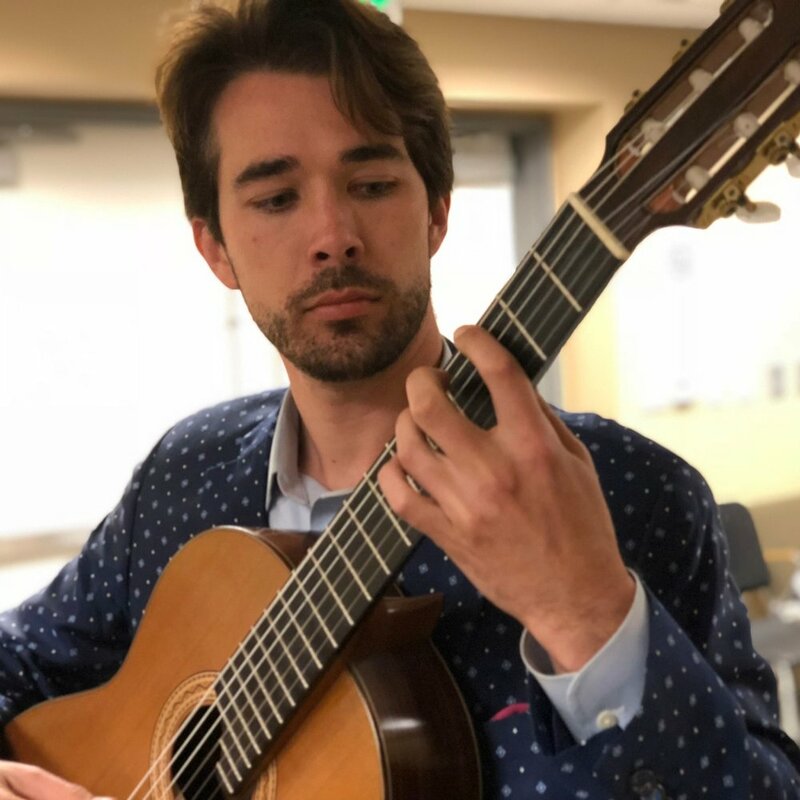 David Falacko is a professional classical guitarist currently completing his Master's Degree in guitar performance at the San Francisco Conservatory of Music. He has had studied with some of the most prominent performers and composers, including: David Tanenbaum, Matthew Slotkin, Gary Ryan, Declan Zapala, and Matt Palmer. David has performed in a number of classical guitar festivals and competitions, and won a composition scholarship to study at the Royal College of Music in London. In addition to his time spent studying classical guitar, David has performance and teaching experience in an array of styles, and loves to share them with students of all ages. Guitarist and vocalist Paul Psarras has embraced a broad range of musical styles throughout his career including Greek music, flamenco and classical guitar. He was invited to the Grammy’s for his role in the nominated recording “Kingdoms of Castille”, has performed with the the San Francisco Symphony, and has appeared with various orchestras around the world. His teaching philosophy is based on his years of teaching different types of students from various backgrounds. Early on, he hones in on what motivates his students, using songs to search for better technique. Paul’s idea of "growing a garden" is a great metaphor that was offered to him as a student. Practicing with this concept in mind is something he now gives to his students, and the results prove that working everyday a bit at a time or "watering the garden" is what brings consistently good results. Greg is a dedicated Bay Area musician and instructor with over 20 years of experience performing and teaching. After receiving his Bachelor's of Music in Composition from Columbia College Chicago, he relocated to the Bay Area to establish himself as a guitar instructor, as well as a live musician and recording artist. Albums that he has released with his bands have reached audiences around the globe and his groups have toured the U.S.
Greg is passionate about helping others reach their musical potential and goals. What drives him as a music instructor is the dedication of his students and their enthusiasm for music and guitar. Garrett Barley has spent over a decade honing his skills as a performer, session musician, and teacher. He received his Bachelor of Arts with a Major in Music from U.C. Berkeley, where he had the opportunity to study with internationally renowned performers and composers, Myra Melford and Ben Goldberg. 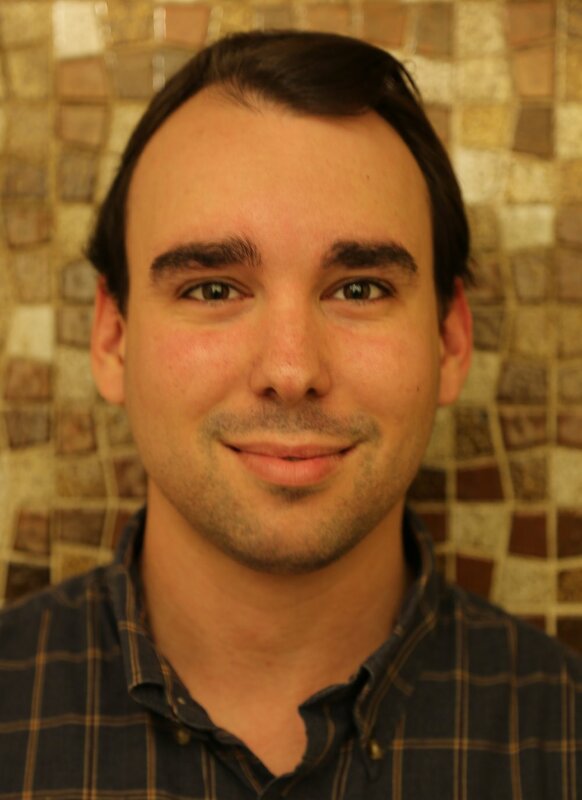 Garrett’s passion for teaching revolves around sharing the joy of music with others. He places an emphasis on exposing his students to different genres, and teaches the history that coincides with these styles. Above all, he makes sure to equip his students with the skills necessary to fully appreciate and enjoy playing music for life. Andrew Heavelin is a California-based classical guitarist and teacher. In 2016, Andrew received a Bachelor's degree in classical guitar performance at Humboldt State University and in May 2018, Andrew received a Master of Music degree in guitar performance from the San Francisco Conservatory of Music. In San Francisco, he studied under Marc Teicholz and had the honor of working with some of the top professionals in the field, including David Tanenbaum, Judicael Perroy and John Dearman. Andrew has taught guitar, bass guitar and ukulele for over a decade and currently teaches at several schools in the Bay Area. His philosophy is centered in producing students who love to play, work smart and have fun. Along with being an active performer, Stephan is a committed educator with over ten years of experience in teaching. Stephan holds a Master of Music and Professional Studies Diploma from the San Francisco Conservatory of Music where he has served as the Guitar Teaching Assistant. Stephan believes in a positive and encouraging approach to teaching, one which cultivates an atmosphere of learning and enjoyment while playing the guitar.